How Can I Stop My 360 Waves From Being Messed Up When I Sweat? 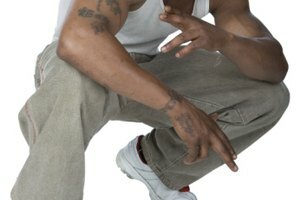 The term "360 Waves" refers to a hairstyle preferred by many African-American men. The 360 Waves style gives the hair the appearance of a continuous wavy pattern. For most men, 360 Waves require a lot of work, dedication and commitment to the style. It can take months of washing, conditioning and brushing to attain this desired look. Once you have 360 Waves, you have to maintain your hair to keep the waves styled, including through sweaty physical activities. Wear a wave cap as much as possible, especially when doing anything physical. 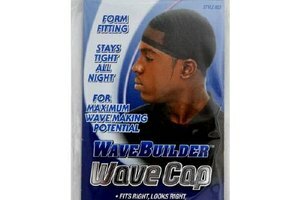 A fitted wave cap is designed to keep your hair lying down close to your head. When fitting a wave cap, make it as tight as possible without the feeling that you are cutting off circulation. 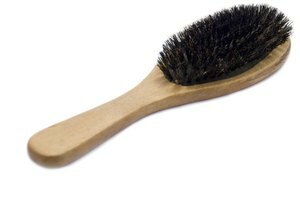 Brush your hair immediately after doing anything physical. Regular brushing is essential to maintaining waves. Whether your hair is messed up from sweat or just regular wear that comes from being active, you should brush your hair at least one hour every day to maintain your waves. Apply pomade or holding cream to your hair in the morning. Both products work to keep your hair in place. 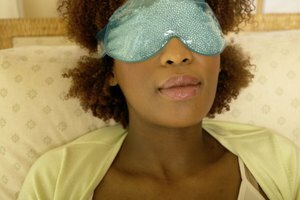 If you sleep with your wave cap on your head, as you should every night, your waves should look the best in the morning. After waking up, brush your hair for about 15 minutes and apply pomade or holding cream. Moisture will not harm your 360 Wave pattern. In fact, moisture helps soften your hair so that it can be styled into a wave pattern. Regular brushing every day is the most essential element of 360 Waves.